I recently started a new blog series called 52 Books where I plan on sharing, that's right, 52 children's books with you. The books could be from a selection that we have made at the local library, or they could be part of our library here at home. One of my addictions is taking my son to the book store and purchasing at least one book while we are there. 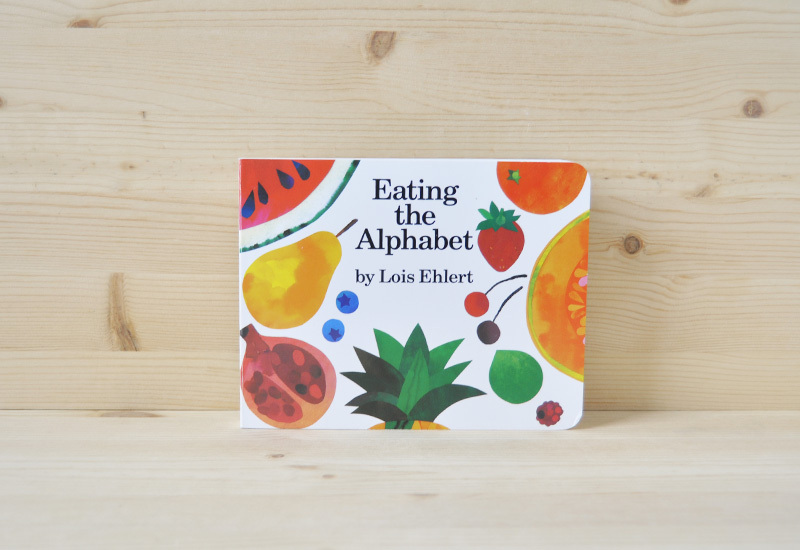 One of our favourite books to read right now is called Eating the Alphabet by Lois Ehlert. I first heard about it at a conference I went to about the importance of teaching children about moving their bodies, and putting the right kind of food into their bodies. I knew as soon as I saw the book that I had to get it for myself. It's quite amazing how many fruits and vegetables they have for some of the letters, and it has started a trend at our house to discover and try the fruits and vegetables that are in the book. This week we chose a papaya at the grocery store. To me, this kind of expansion is part of the importance of books.